Back in May I started this version of Amy Butler's Weekender for the class I taught at Quilter's Way. 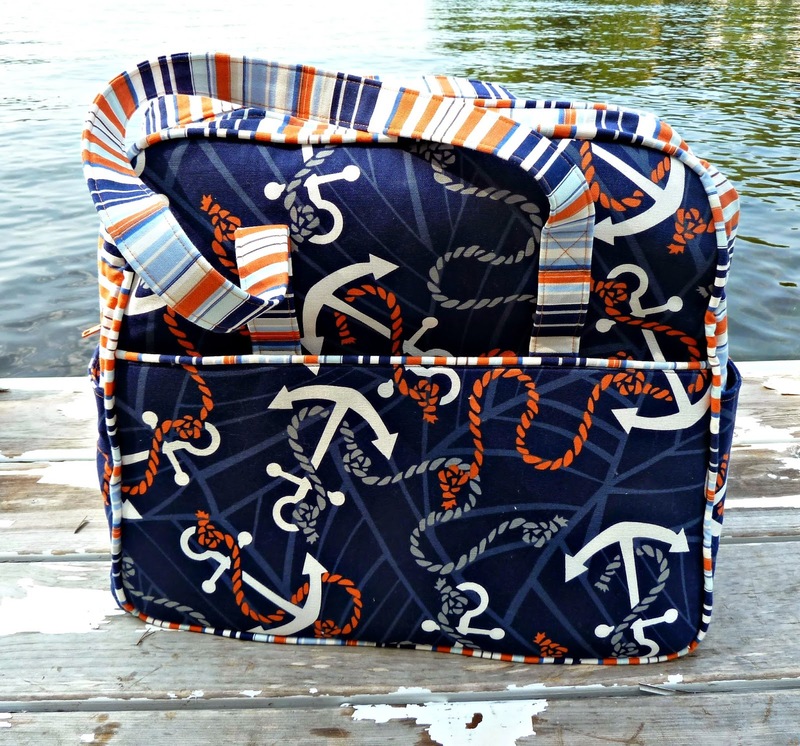 I had this fabulous Dear Stella Anchors Away and matching striped canvas in my stash which is perfect for my current addiction to all things nautical. I finished this up and have been using it ever since. 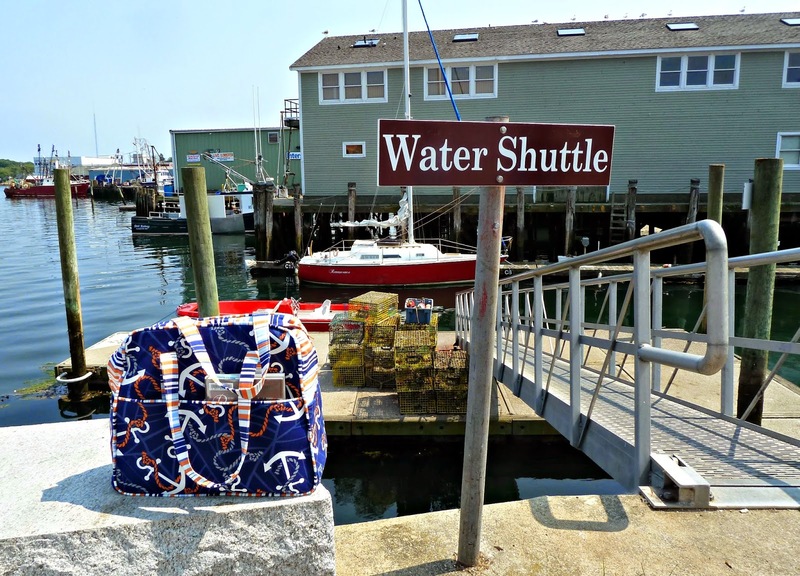 It's the perfect size for a quick getaway! When I made my Where in the World Weekender I followed the pattern exactly but this time I tried a few things that made life easier. 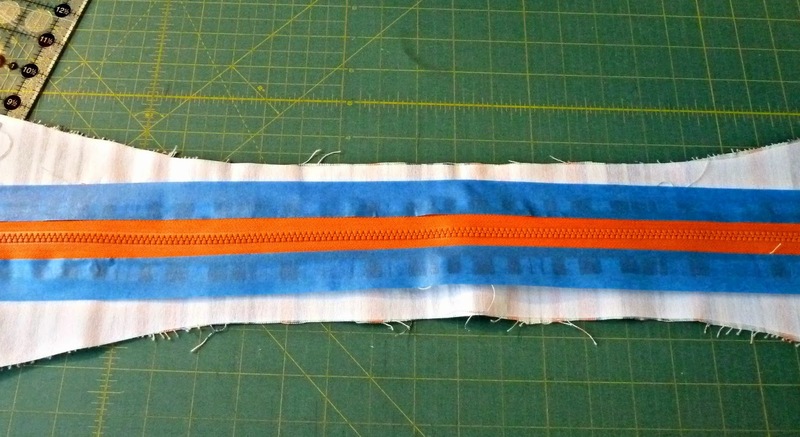 For the zipper panel I used Decor-Bond rather than 3 layers of ShapeFlex. Life's too short for all that cutting and ironing:-) I also go smart and when I taped my zipper down I moved the tape to the outer edge of the zipper. It's still stuck in place but I didn't have to worry about sewing through the tape. 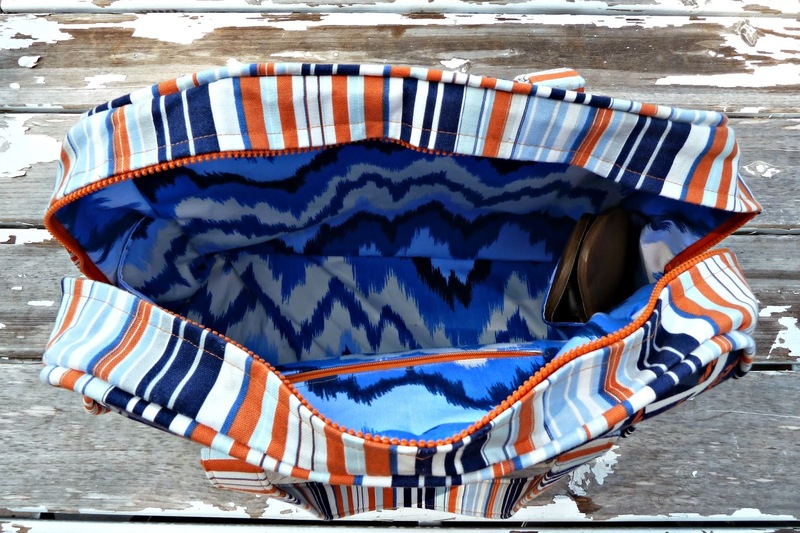 For the inside I used this fun ikat I also found in my stash. 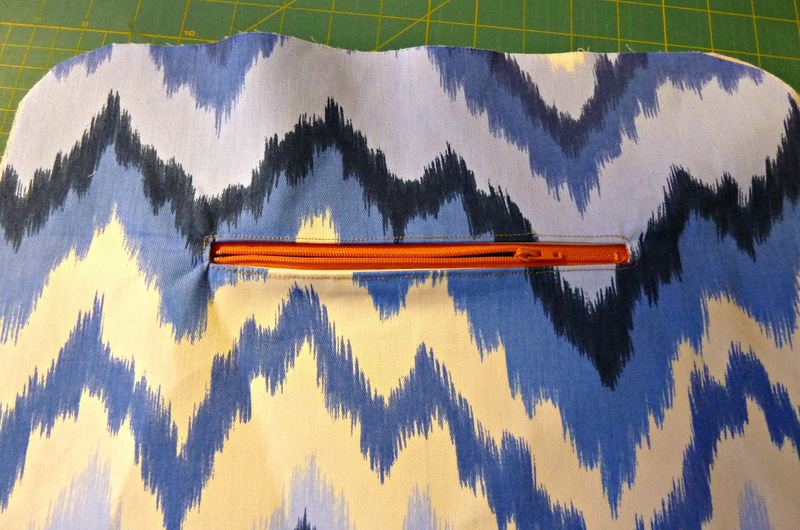 I used the awesome tutorial at U-Handbag to add a zippered pocket. I added ShapeFlex to the lining pieces to give the bag more structure. I also copied the side pockets from the outside on the inside. They are perfect for stashing flip flops and I always need more pockets! I love it! Please please teach the class again! I'm dying to make one too! It is too fabulous.